SUMMER FRUIT! LOCAL FRUIT! REJOICE! I'm so excited to be sharing this recipe with you because of all the amazing feedback I got from it having demoed it at the Byward Market this past June. 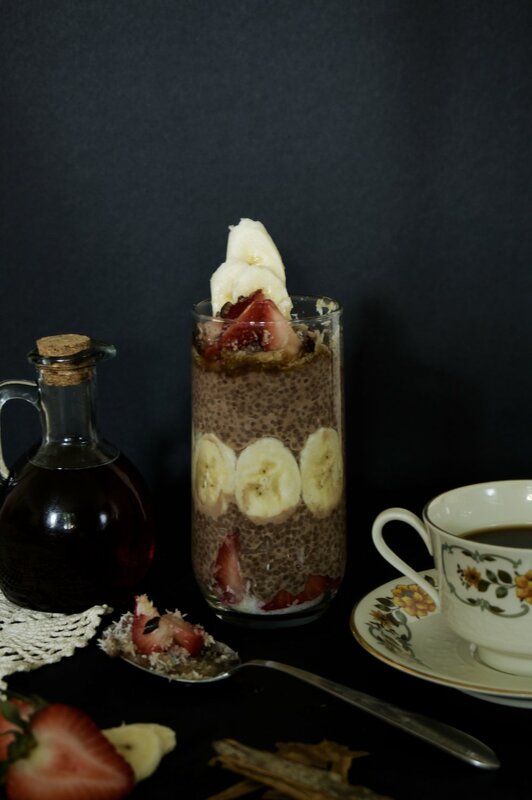 I know that strawberries are starting to come out of season but this chia pudding base is so universal that I would recommend any berry on top (and bananas too if you've got em!). Then, later in the fall, throw some pears on top! Chocolate cannot be denied a fruit companion. Yes, chia seeds are the same ones from the ch-ch-chia pet from the 90s. New research has touted it as a super food. 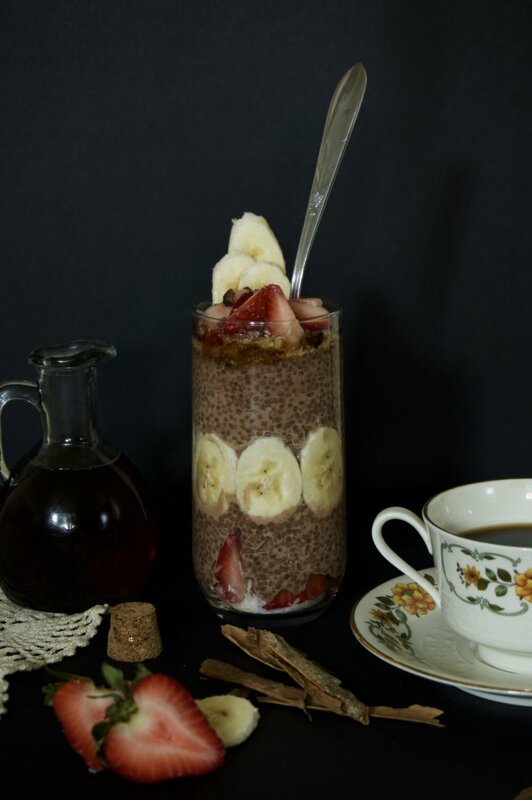 While that term is a little loaded, I will tell you that I find chia seeds to be an amazing quick and high fiber breakfast pudding you can whip up in 10 min and have for your mornings when you are rushing out of the door. A few tips for making this bad boy. The most affordable place to purchase the sees is at.. dun dun dun.. Costco! Top them with whatever you have, toasted nuts, shredded coconut, chocolate chips or cocoa nibs all work in combination with most berries & bananas. To have them ready for your morning breakfasts, wash and slice berries and put them in a container. Then, make the chia pudding and divide into 4 containers. When ready for breakfast, add some fruit, nuts, seeds and/or coconut to the top! When I've meal prepped them already with fruit on them, I found that the chia pudding fermented in a couple of days so keep the fruit separate until you're ready to eat! Combine milk with maple syrup, cocoa powder, vanilla and cinnamon and whisk in a bowl. Sprinkle chia seeds over top and whisk thoroughly to combine. Whisk well every 2 minutes over the course of 10 minutes until thickened slightly. Set aside for chia seeds to absorb liquid for 15 min. After this point, you can keep chia pudding refrigerated, covered, for up to 5 days.